This entry was posted in cold process soap colorant, free soap recipes, handcrafted soap, handmade soap, make your own soap, Natures Garden, soap colorants, soap making supplies, soap supplies and tagged adding titanium dioxide to lye water, buy titanium dioxide powder, cold process soap colorants, craft soap making, easy homemade soap, handmade soap, Handmade soaps, homemade soap, how to color cold process soap, how to make soap, How to Make Soap White, how to make soap without lye, how to mix titanium dioxide with oil, how to use titanium dioxide in soap, how to whiten soap, making soap, natural soap colorants for cold process, natures garden, natures garden vanilla stabilizer, oil dispersible titanium dioxide, Peppermint Fluff Fragrance Oil, peppermint fluff soap recipe, soap colorants natural, soap discoloration, soap maker supplies, soap makers, soap making, soap making cold process, soap making equipment, soap making products, soap making suppliers, soap making supplies, soap making supplies Atlanta, soap making supplies la, soap making supplies las vegas, soap making supplies new york, soap making supplies north carolina, soap making supplies Ohio, soap making supplies salt lake city, soap making supplies south carolina, soap making supply, soap making tennessee, soap making tips, soap stabilizers, soap wholesale supplies, soapers, soapmaking suppliers, soapmaking supplies, Sweet Orange Chili Pepper Cold Process Soap Recipe!, titanium dioxide, titanium dioxide in soap benefits, Titanium Dioxide Oil Dispersible, titanium dioxide solubility in water, Titanium Dioxide Water Soluble, vanilla color stabilizer, vanilla color stabilizer ingredients, vanilla stabilizer ingredients, vanilla white, vanilla white color stabilizer, Vanilla White Color Stabilizer bulk, vanillin discoloration, white soap, white soap bar, wholesale soap making, wholesale soap making products, wholesale soap making supplies, wholesale soap supplies, wholesale titanium dioxide, wholesale Vanilla White Color Stabilizer, why did my soap turn brown, why does soap turn brown, why is my soap turning brown on September 27, 2017 by Deborah Ward. Homemade soap making is the perfect way to show off your creativity. While appearance isn’t everything in a bar of soap, it certainly is important. Sometimes the discoloration of your soap bar just doesn’t match the aroma and there may seem like there is nothing you can do to stop it. Or, you may just be trying to get your soap to be pure white, as no discoloration doesn’t mean that you will get a pure white bar of soap. In fact, uncolored and unscented cold process soap is naturally an off white hue. But, there are a few additives that you could use in certain situations to attempt to achieve the perfect white color for your soap bars. All you need to do is learn how to make soap white and we at Natures Garden would like to help you at as much as we possibly can! We have three simple options for our lovely soap-makers that desire a whiter bar of soap. While there is no way to prevent discoloration in all cases, there are some options that you have for your soapmaking. First, we have the Vanilla White Color Stabilizer. This is a product that will actually prevent discoloration from fragrance. However, this ingredient is really only good for preventing fragrances with a vanillin content from discoloring. So, this additive will not always work to completely banish discoloration and may not work at all on some fragrances. Next, we have two types of titanium dioxide. While these ingredients are designed to change the appearance of the natural color of soaps. However, these additives will not prevent any fragrance discoloration. This ingredient is simply for turning the off white bars into a pure white hue. One easy method that you can use to whiten your cold process soaps is to add in our Vanilla White Color Stabilizer! While this ingredient can’t completely whiten all kinds of discoloration, this product can strongly reduce certain types of discoloration. So, it is important to know exactly when to add this product. This ingredient will reduce the discoloration that is caused by vanillin. Also, this product will slow down this ingredient’s ability to oxidize, which would cause browning in the soap. If the fragrance oil contains vanillin or components that will oxidize, then adding this ingredient will absolutely be helpful! As a soap maker, it is important to know how to deal with discoloration. While many great aromas that don’t cause any discoloration, there are some fragrance oils with wonderful scents that just don’t perform exactly how you want. It can be heartbreaking to discover a gorgeous scent that just discolors too much. What is worse is when the discoloration doesn’t pair well with the aroma. This always happens with scents that have heavy vanilla notes. These fragrance oils often end up extremely dark, but smelling like a pure white vanilla dream! However, you can prevent it with Vanilla White Color Stabilizer. So, don’t give up on your favorite vanilla soap scents just yet. While there are definitely some types of discoloration that Vanilla White Color Stabilizer can’t help with, this product is perfect for reducing discoloration from vanillin. This ingredient is what creates the vanilla aroma that we all know and love! This means that this color stabilizing agent is perfect for vanilla fragrances, and any fragrance that has a vanillin content. So, darker shades of soaps that are caused by vanilla fragrance oils can be tackled by this product. Although it is possible for a fragrance oil to have other discoloring agents, the Vanilla White Color Stabilizer is great for whitening discoloration due to vanillin. So, you should add this ingredient when the vanillin content is above 1% to prevent discoloration. Over time, certain ingredients in the fragrance oil may begin to oxidize. While this is just a natural reaction some ingredients, like vanillin, have with the air, this could lead to a change in the color of your homemade soaps. Oxidation has the potential to cause a darker color for your soap, so you could potentially have discoloration after the soap has been created. Although Vanilla White Color Stabilizer can’t completely prevent this reaction from occurring, it is perfect if you would like to slow down this natural process. Thus, you can delay this discoloration and, if you use your bars quick enough, may never even have to see it! Since you are attempting to save this fragrance oil for your soap making, you don’t want anything impacting the scent. Luckily, vanilla white color stabilizer can reduce discoloration without negatively impacting the fragrance oil that you enjoy. Although the aroma of this product is strong out of the bottle, the scent is completely unnoticeable in the finished soaps. So, you won’t smell a thing in your soaps! This means you can have the appearance in your soap that you want without sacrificing the integrity of this fragrance oil’s scent. Now, you know exactly how Vanilla White Color Stabilizer will work in your soap! All you have left to do is to learn how you can incorporate the color stabilizer into your soap making. While it is not super difficult, you need to know what you are doing to make sure that the ingredient is actually incorporated. So, make sure to add this ingredient to aqueous bases as it is designed to stabilize water based formulas. This is because the vanilla white stabilizer can’t be added to the oils until the saponification process. If you’d like to see exactly how this whitener product works, then check out our amazing Peppermint Fluff Soap Recipe! This is a quality soap recipe that required the base of the soap bar to be pure white hue. Otherwise, the design on our soap wouldn’t look like a peppermint! So, the soap had to be red and pure white. However, this soap uses a fragrance with a vanillin content. In fact, the Peppermint Fluff Fragrance Oil includes a 6% vanillin content. So, we needed something to help with the inevitable discoloration. Otherwise, we would have ended up with a brown and red bar of soap that really wouldn’t look like a peppermint at all. Instead, we used this ingredient and created the soap you see to the left! Also, you have another perfect option for making homemade white soaps. You can use Titanium Dioxide to create a whiter bar of cp soap. While this ingredient won’t reduce discoloration that is caused by some fragrance oils, it is perfect for whitening. If you have a bar with light or no discoloration, then you can add this powdered colorant to create a whiter bar. Instead of the typical off white soap color, the Titanium Dioxide will create a more pure white color in your bars. Thus, you can have decorative soaps with a pure white hue. Also, you will be able to still use your personal cold process soaping recipe. First, it is very important for you to know how much titanium dioxide that you can add to your homemade soaps. While this whitening powder is perfect for soap making, you don’t want to add too much of this product to your soap. However, not adding enough of this product could leave you with a bar that isn’t as white as you would like your soaps to be. So, we would suggest for you to include no more than a single teaspoon per pound of soap colored. All you need to do is add the right amount of this whitening product to your soaps! Next, you need to learn how this ingredient needs to be used. Since this ingredient is water based, it needs to be added to the lye water solution. This means that you will have to add this white pigment to your whole soap bar. So, the water soluble version of Titanium Dioxide is perfect for coloring an entire bar of cold process soap. Then, you can combine your water and oils perfectly to create a whiter bar of soap. Although you can separate some of this white soap to color with soap dyes, the titanium dioxide won’t impact the color. Alternatively, you can use a different type of Titanium Dioxide to create your soaps. This ingredient is perfect for whitening smaller portions of your cold process soap. This version of Titanium Dioxide will perform similarly to the water soluble version. Thus, both act as a whitening pigment for the uncolored portions of the soap. Again, this ingredient won’t fix any discoloration caused by fragrance oils. This is because this additive is designed to alter the color of natural soaps to a more pure white. The only difference between the Oil Dispersible Titanium Dioxide and the Water Soluble Titanium Dioxide is how it is incorporated into the soap. Now, all you need is to learn how to use this product in your soap making process! Since this ingredient is oil based, you need to add titanium dioxide to the oil portion of your soaps. So, you’ll need to take a bit of your cosmetic oils and mix your powdered pigment together. Then, you will need to mix up your soap batch. Afterwards, separate out the portion of soap that you’d like to be whitened. Then, mix together the separated portion and the titanium dioxide to create the perfect white color for your soap design. Finally, take a peek at how we like to use titanium dioxide in our very own soap making recipes. The Sweet Orange Chili Pepper Cold Process Soap Recipe is one example where adding this ingredient is perfect for creating perfect designs. This soap recipe incorporates a perfect in-the-pot swirl with vibrant red, pure white, and gorgeous orange colors. Note that the white portion of this swirl is even whiter than the normal hue of cold process soap. Luckily, this fragrance oil causes no discoloration in homemade soap! This means that adding titanium dioxide is a perfect option for creating a pure white section in your soap. Now that you have whiter bars of soap, let’s talk about soap making colorants! You could add some fun colorants to your soaps that include some Vanilla White Color Stabilizer. Now that you prevented the discoloration, you are able to add any colors that you would like! Also, you are going to need some fun colors to go along with your newly whitened bars of soap. If you would like to explore your soap coloring options, then check out our various Soap Colorants. These would be perfect to add to your newly whitened bars. Hopefully, you learned a bit about how to control the color of your handmade soaps. Whether you have discoloration issues or want a whiter bar of soap, using additives can be helpful for some of your soaping issues. Now, you are prepared to create all kinds of fun soap designs. If you would like to share any of your soaping successes, then share pictures or your story on either our Facebook or Instagram pages! We would love to see your homemade creations! This entry was posted in candle making supplies, Fragrance Oils, Natures Garden, Natures Garden Fragrance Oils, Soap making supplies, wholesale fragrance oils and tagged body safe scent, bulk fragrance oils, candle making suppliers, cosmetic making suppliers, cosmetic scents, diy cosmetic recipes, diy lotion, dragon fruit scent, dragon fruit soap benefits, dragonfruit soap, exotic candles, exotic fruit candle, exotic fruit scent, exotic lotion scent, exotic room scents, exotic scent, exotic soap scents, fragrance oil, fragrance oil spotlight, fragrance oils for soap, fragrances for candles, free craft recipes, free lotion recipe, fruit scents hand soap, fruit soap bars, fruit soap scent, fruity aroma, good scent after cure, great cp soap scent, great soap scent, homemade craft recipes, homemade lotion recipe, how to make lotion, how to make lotions, ingredients for candles, ingredients for lotions, ingredients for soap, lotion from scratch, lotion making suppliers, make dragon fruit soap, make fruit candle, making lotion, natures garden, NG original fragrance, NG original scent, no discoloration, papaya dragon fruit aroma, papaya dragon fruit candle fragrances, papaya dragon fruit candle scents, papaya dragon fruit cosmetic fragrance oil, papaya dragon fruit cosmetic oils, papaya dragon fruit cosmetic scented oil, papaya dragon fruit cosmetic scents, Papaya Dragon Fruit Fragrance Oil, papaya dragon fruit fragrance oils, papaya dragon fruit fragrances, papaya dragon fruit fragrances for soap, papaya dragon fruit scented oils, papaya dragon fruit scents, red candle dye, red liquid candle colorant, red liquid candle dye, red liquid soap colorant, red liquid soap dye, red soap colorant, red soap dye, scented candle making, soap making suppliers, sweet fruit scents, tropical fragrance oils, tropical fragrances for candles, tropical fruit scent, tropical lotion recipe, tropical scent, tropical scents for bath fizzies, tropical scents for soap, wholesale fragrance oils, wholesale suppliers on October 18, 2016 by Deborah Ward. 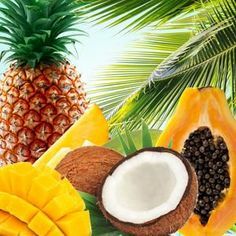 Papaya Dragon Fruit Fragrance Oil is a tropical scent by Natures Garden. This aroma is a scrumptious blend of exotic and sweet fruits with nutty almond scents. This tropical scent is not only extremely popular with the Natures Garden team, but our customer love it as well. One customer says.”I was looking at this oil for a long time trying to decide whether I wanted to try it or not and I finally decided to get a sample of it and omg I am so glad that I did, I have even come back to buy a big bottle of it. This is so tropical and would be perfect for summer but I am personally one of those people who could melt this in my candles and tarts year around, smells fantastic and you won’t be sorry especially if you like the mango and papaya scents because this reminds me of that but at the same time has its own unique smell .” If you’re on the fence with this one give it a try! We are sure you will love it as much as we do! What Does Papaya Dragon Fruit Fragrance Oil Smell Like? This is Deborah’s new favorite fragrance oil by Natures Garden! A tropical fruitopia of juicy peaches, papaya, exotic dragon fruit and fresh island pineapple tweaked with nutty notes of almond. NG Original Scent! How Do Our Customers Use Papaya Dragon Fruit Fragrance Oil in Room Scenting Recipes? Natures Garden customers creating their own wax creations can use this exotic fragrance oil. We have found this fragrance oil performs wonderfully in homemade candles and melts. We recommend adding a maximum of 10% of your recipe. Our Joy Wax and Pillar of Bliss are just a couple of waxes showing strong scent retention. 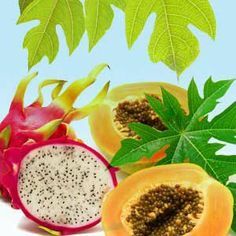 Papaya Dragon Fruit Fragrance Oil also shows great results in both our natural soy waxes and eco-friendly palm waxes. Other room scenting products can be made with this tropical fragrance oil. Both potpourri, reed diffusers, and incense can use up to 50% for this fragrance. Also, aroma beads that use this fragrance oil will retain a nice and strong scent. When coloring your room scenting recipes, we suggest 4 drops red liquid candle dye. Another option, you could use a small amount of shredded red color block. 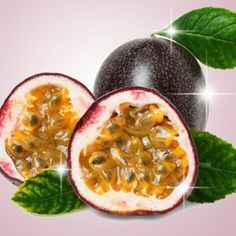 How Do Our Customers Use Papaya Dragon Fruit Fragrance Oil in Bath and Body Recipes? Homemade soap crafters, you can use Papaya Dragon Fruit fragrance oil. Use this scent to create cold process soap, hp, or mp soap. Natures Garden’s Cold Process Soap Testing Results for this scent have performed fantastically. A soap batch that uses this fragrance oil will have no separation, no ricing, and no acceleration. Have you decided how you will color you soaps using this scent yet? Well, our suggestion is to use red liquid soap dye in your desired amount. 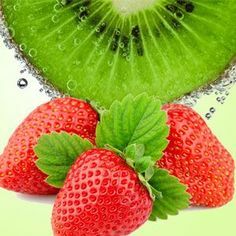 All sorts of unique bath and body products can be created using this fruity fragrance oil. 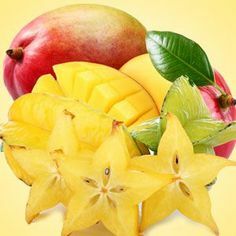 Bath gels, bath oils, lotions, perfumes, bath teas, hair products, and any other related bath and body creations can include up to 5% Papaya Dragon Fruit scent. Additionally, you can create homemade cleaning supplies. You can also scent them with no more than 5% of this aroma. If you want to add color to any of your bath and body products, then we suggest using red liquid soap dye in the amounts that you prefer. Just remember to never use candle dye in these. 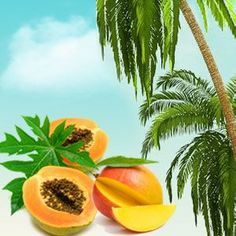 Those of our customers that would like to try out a new bath and body product that incorporates this papaya fragrance oil should take a look at our Tropical Lotion Recipe! 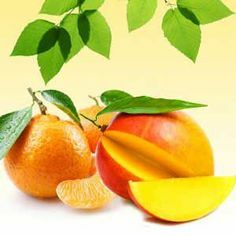 This exotic fruit scent is fantastic for a body lotion to keep you moisturized and smelling great. This entry was posted in candle making supplies, Fragrance Oils, Natures Garden, Natures Garden Fragrance Oils, Soap making supplies, wholesale fragrance oils and tagged air freshener fragrance oils, body safe scent, candle making supplies, candle wax suppliers, citrus and floral scent, cosmetic making supplies, cp soap scents, feminine fragrance oils, feminine oils, Feminine scented candles, feminine scented home oils, feminine scents, floral candles, floral cleaning scent, floral fragrance, floral fragrance oils, floral oils, floral perfume, floral room scent, floral scent perfumes, floral scented candles, floral scented cleaning supplies, floral scented home oils, floral scents, flower scent, flower scented candles, fragrance oil, fragrance oil spotlight, fragrance oils for soap, fragrances for candles, fruit and floral scent, great cp soap scent, great floral scent, great scent for soaping, great soap scents, how to make scented candles, how to make scented lotion, how to make scented soap, how to make scented soap at home, how to make scented soap bars, how to make scented soap from scratch, how to make soap, lively scent, make feminine scented bath bombs, make feminine scented body oil, make feminine scented perfume, make feminine scented soap, make floral scented bath bombs, make floral scented body oil, make floral scented perfume, make floral scented soap, musk scent, natures garden, no discoloration, pink candle dye, Pink Daisies & Goji Berries Fragrance Oil, pink daisies and goji berries and amber aroma, pink daisies and goji berries and amber candle fragrances, pink daisies and goji berries and amber candle scents, pink daisies and goji berries and amber cosmetic fragrance oil, pink daisies and goji berries and amber cosmetic oils, pink daisies and goji berries and amber cosmetic scented oil, pink daisies and goji berries and amber cosmetic scents, pink daisies and goji berries and amber fragrance oils, pink daisies and goji berries and amber fragrances, pink daisies and goji berries and amber fragrances for soap, pink daisies and goji berries and amber scented oils, pink daisies and goji berries and amber scents, pink liquid candle colorant, pink liquid candle dye, pink liquid soap colorant, pink liquid soap dye, pink soap colorant, pink soap dye, red candle dye, red liquid candle colorant, red liquid candle dye, red liquid soap colorant, red liquid soap dye, red soap colorant, red soap dye, scent for spring, scented soaps, soap making suppliers, soap making supplies, spring scent, sweet scent soaps, sweet scented candles, wholesale fragrance oils on October 3, 2016 by Deborah Ward. Pink Daisies & Goji Berries Fragrance Oil is a citrus and floral scent by Natures Garden. This delightfully sweet aroma is a blend of fresh floral scents and citrus fruits with woodsy and musk bottom notes that create an amazing spring time fragrance oil. This fragrance oil would make a perfect addition to all kinds of homemade products this spring! What Does Pink Daisies & Goji Berries Fragrance Oil Smell Like? How Do Our Customers Use Pink Daisies & Goji Berries Fragrance Oil in Room Scenting Recipes? Our Pink Daisies & Goji Berries Fragrance Oil is a gorgeous scent that would made a great addition to various room scenting products. Both potpourri and incense recipes can made with 50% of this scent at most. Also, household cleaning products can be made with up to 5% of this fragrance oil. Further, aroma bead products can be created with fragrance and will retain a strong scent. While gel wax is known to be compatible with this fragrance oil, it is still the customer’s job to test each fragrance oil. Moreover, this fragrance oil can be used to scent a variety of candle recipes. Homemade candles and wax melts can include a maximum of 10% fragrance oil. WOW Wax, Joy Wax, and pillar candles will retain a strong scent. This fragrance oil also works wonderfully with soy wax and palm wax. If you choose to color your creations, then we suggest using one drop of red liquid candle dye. Another option is to add an ample amount of a shredded red color block into the melted wax. If using another method of coloring, crayons in will likely clog your wick. How Do Our Customers Use Pink Daisies & Goji Berries Fragrance Oil in Bath and Body Recipes? Our customers can use this sweet scent can be used to make all sorts of bath and body products. 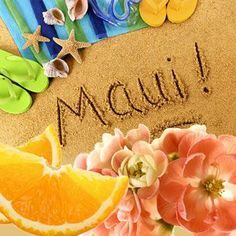 Bath gels, bath oils, perfumes, lotions, perfumes, scrubs, and different bath and body products at a rate of 5%. Further, this fragrance oil can be used to create fantastic cold process soaps. In fact, our Cold Process Soap Testing Results have shown that this fragrance oil will perform perfectly for this scent. A batch containing this fragrance oil will have no separation and no ricing. However, this batch will have some slight acceleration. We recommend soaping at room temperature for this fragrance oil to reduce some of the acceleration from this fragrance oil. Finished soap will not have any discoloration and the bars will have a very strong scent retained after cure. If you wish to color any of your bath and body products, then we suggest using pink liquid soap dye in the amount that satisfies you. Just remember that you should never use any candle dyes in any body products as that dye is not body safe.